The collaboration is to optimize Red Hat OpenShift Container Platform on HPE platforms, including HPE Synergy, the industry’s first composable infrastructure. 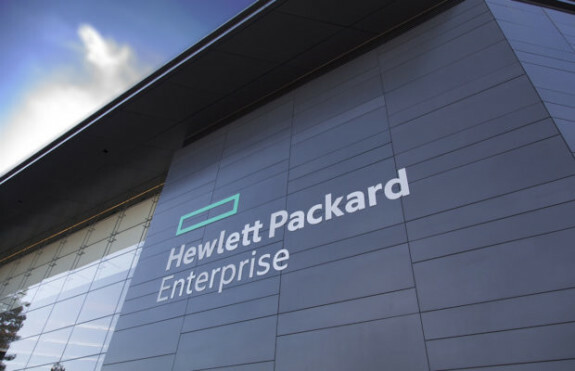 Hewlett Packard Enterprise (HPE) announced a collaboration with Red Hat, the leading provider of open source solutions, to enable enterprises to adopt and deploy containers in production rapidly and at scale. While developers find it easy to deploy containerized applications in their development and test environments, enterprises often require container scalability, added security features, persistent storage, and manageability to deploy containers in production. To help accelerate container application delivery, HPE and Red Hat are collaborating to optimize Red Hat OpenShift Container Platform on HPE platforms, including HPE Synergy, the industry’s first composable infrastructure. In addition, the two companies are also collaborating to offer services to help customers adopt Red Hat OpenShift Container Platform with HPE platforms from proof of concept to production. With the efforts of HPE and Red Hat, IT experts can deploy a single container architecture from development to operations. Red Hat OpenShift Container Platform has become a leader in the container space by offering an integrated, enterprise-grade container platform based on industry standards, including Linux containers and Kubernetes. HPE will pair key components of its hybrid IT portfolio of products and services with the following capabilities for Red Hat OpenShift Container Platform. • Containerization services – Helps customers adopt and migrate to Red Hat OpenShift Container Platform with containerization services through HPE Pointnext. • Reference architecture – Provides leading best practice blueprints for deploying scalable container platforms from development to operations through a validated design of Red Hat OpenShift Container Platform on HPE Synergy with HPE 3PAR and HPE Nimble Storage. • Composable Infrastructure for containers – Leverages HPE Synergy as a single platform to run containers on virtual machines or on bare metal, and traditional non-containerized applications side-by-side. HPE Synergy provides a single infrastructure for IT to dynamically compose their right mix of virtual, traditional and container resources, helping to increase business agility and resource utilization. • Persistent storage for containers – Enables developers to provision and manage storage volumes on demand with Red Hat OpenShift Container Platform’s persistent volume framework, making it easier to provision container volumes, protect container data, and set Quality-of-Service (QoS) on HPE 3PAR and Nimble storage arrays. • Faster deployment and automation – Offers a complete set of Ansible playbooks along with step-by-step deployment guides to automate deployment of the HPE Synergy with Red Hat OpenShift Container Platform including high availability, networking, load balancing, persistent storage, container data protection policies, and OS security. This API-driven, programmatic control of physical infrastructure can deploy a production-ready Red Hat OpenShift Container Platform environment to less than two hours. • Container data protection – Improve backup and restoration of Red Hat OpenShift Container Platform data from public clouds using HPE Cloud Volumes and/or HPE Cloud Bank Storage. • Stronger security – Leverages various security tools designed to protect the complete stack. In addition, HPE offers its Gen10 Silicon Root of Trust security at the processor firmware level, which ensures servers to not execute compromised firmware code, and HPE Workload Aware Security for Linux (WASL) to further improve security from the OS level and below. The above HPE technology stack will be available in September 2018. A Reference Architecture for HPE Synergy with Red Hat OpenShift Container Platform featuring the Gluster File System is already available today. Customers seeking a software-defined storage approach with Red Hat OpenShift Container Platform can click here. HPE Pointnext also offers a comprehensive portfolio of advisory and professional services supporting application containerization and Kubernetes integration. In late 2018, HPE Pointnext plans to expand the offering with additional services to help customers adopt Red Hat OpenShift Container Platform with HPE solutions and migrate to containers.